Updated to here! ------------------------------ Messages for users with July birthdays have been sent. ------------------------------ MemefulMew, your wish list has been updated. Happy belated birthday! greeia, your 2 gifts, including the earliest gift I've ever seen here, have been added. Thank you for gifting! sylviamaris, your 20 gifts have been added. Thank you for gifting! Dirtytabs, your 7 gifts have been added. HeatherMarie, your 5 gifts have been added. Thank you for gifting! Seahorse, your gift has been added. Thank you for gifting! webcowgirl, your gift has been added. Thank you for gifting! Imzadi83, your 4 gifts have been added. Thank you for gifting! Terrafreaky, your 2 gifts have been added. Thank you for gifting! WWECornSerpent, your 5 gifts have been added. Thank you for gifting! Dragon p, your gift has been added. Thank you for gifting! Dragonchic, your wish list has been updated. Happy early birthday! Coheart, your wish list has been added. Happy early birthday! Belisar, your gift has been added. Thank you for gifting! Coheart, your gift has been added. Thank you for gifting! Natevaelle, your 4 gifts have been added. Thank you for gifting! Waveclaw, uuhmmm, despite the confusing nature of your posts, your wish list has been added. Feel free to post an update if the current listing doesn't suit you. Happy early birthday! camea42123, your wish list has been added. Happy early birthday! Oriane Sera, your wish list has been updated. Happy early birthday! Mochi, your wish list has been updated. Happy early birthday! Terces, your gift has been added. Thank you for gifting! Anra7777, your wish list has been added. Happy early birthday! Syryn, your gift has been added. Thank you for gifting! Updated to here! ------------------------------ sylviamaris, your 9 gifts have been added. Thank you for gifting! Terrafreaky, your 2 gifts have been added. Thank you for gifting! innate, your 3 gifts have been added. Thank you for gifting! Terces, your 5 gifts have been added. Thank you for gifting! WWECornSerpent, your 6 gifts have been added. Thank you for gifting! greeia, your gift has been added. Thank you for gifting! Dirtytabs, your 13 gifts have been added. greeia, your wish list has been added. Happy early birthday! EliasDestiny, your wish list has been updated. Happy early birthday! Dragon p, your wish list has been updated. Happy early birthday! Seahorse, your wish list has been updated. Happy early birthday! Saika, your wish list has been updated. Happy early birthday! webcowgirl, your wish list has been updated. Happy early birthday! Siryuki, your wish list has been updated. Happy early birthday! Updated to here! ------------------------------ sylviamaris, your 2 gifts have been added. Thank you for gifting! Zerhai, despite the confusing nature of your post... your wish list has been updated. Happy early birthday! Terces, your 5 gifts have been added. Thank you for gifting! Terrafreaky, your 3 gifts have been added. Thank you for gifting! Dirtytabs, your gift has been added. Updated to here! ------------------------------ Messages for users with May birthdays have been sent. ------------------------------ Dirtytabs, your 6 gifts have been added. WWECornSerpent, your gift has been added. Thank you for gifting! Elennilda, your 3 gifts have been added. Thank you for gifting! dark_sama, your 2 gifts have been added. Thank you for gifting! osean, your wish list has been added. Happy early birthday! Dragonessdown, your wish list has been added. Happy belated birthday! Terrafreaky, your gifts have been added. Thank you for gifting! Terces, your 7 gifts have been added. Thank you for gifting! sylviamaris, your gift has been added. Thank you for gifting! Updated to here! ------------------------------ OrcaFreak, your 3 gifts have been added. Thank you for gifting! Alisyn, your 4 gifts have been added. Thank you for gifting! sylviamaris, your 20 gifts have been added. Thank you for gifting! Dirtytabs, your 22 gifts have been added. innate, your 4 gifts have been added. Thank you for gifting! Alectrona, your gift has been added. Thank you for gifting! dark_sama, your wish list has been added. Happy belated birthday! Elennilda, your 4 gifts have been added. Thank you for gifting! Bekum, your 2 gifts have been added. Thank you for gifting! pikammd, your wish list has been added. Happy early birthday! Merlot, your wish list has been updated. Happy early birthday! Merlot, your gift has been added. Thank you for gifting! sxrill, your wish list has been added. Happy belated birthday! LiquidCake, your wish list has been updated. Happy early birthday! Belisar, your wish list has been added. Happy early birthday! Daiyachiri, your wish list has been added. Happy early birthday! WWECornSerpent, your 3 gifts have been added. Thank you for gifting! Andromen, your wish list has been added. Happy early birthday! Terrafreaky, your gift has been added. Thank you for gifting! dark_sama, your gift has been added. Thank you for gifting! Syryn, your 3 gifts have been added. Thank you for gifting! Imzadi83, your wish list has been updated. Happy early birthday! Updated to here! ------------------------------ mmdragon, your wish list has been updated. Happy early birthday! MaeTM, your wish list has been updated. Happy early birthday! innate, your wish list has been added. Happy early birthday! Aie, your wish list has been updated. Happy early birthday! sylviamaris, your wish list has been updated. Happy early birthday! Frankenweenie, your wish list has been updated. Happy early birthday! Updated to here! ------------------------------ Messages for users with April birthdays have been sent. The two March releases seem common enough to remain off the tiers. They may be requested anywhere on a wish list. ------------------------------ Dirtytabs, your 9 gifts have been added. Alisyn, your 4 gifts have been added. Thank you for gifting! HeatherMarie, your 3 gifts have been added. Thank you for gifting! DreamingDragons101, your wish list has been added. Happy early birthday! Terces, your 5 gifts have been added. Thank you for gifting! WWECornSerpent, your 3 gifts have been added. Thank you for gifting! Elennilda, your 4 gifts have been added. Thank you for gifting! Aie, your wish list has been updated. Happy early birthday! TerraAnne, your wish list has been updated. Happy early birthday! LiquidCake, your wish list has been added. Happy early birthday! Aie, your gift has been added. Thank you for gifting! kittyrules2003, your wish list has been added. Happy early birthday! OrcaFreak, your wish list has been updated. Happy early birthday! Updated to here! ------------------------------ Alisyn, your wish list has been updated. Happy early birthday! Elennilda, your 3 gifts have been added. Thank you for gifting! Dirtytabs, your gift has been added. The Dragoness, your wish list has been updated. Happy early birthday! Sionnisong, your wish list has been added. Happy early birthday! Splashie, your wish list has been updated. Happy early birthday! Isuzu, your wish list has been updated. Happy early birthday! Terces, your gifts have been added. Thank you for gifting! HeatherMarie, your wish list has been updated. Happy early birthday! Updated to here! ------------------------------ Messages for users with March birthdays have been sent. ------------------------------ Dirtytabs, your 6 gifts have been added. WWECornSerpent, your gift has been added. Thank you for gifting! Alisyn, your wish list has been added. Happy early birthday! Updated to here! ------------------------------ Messages for users with February birthdays have been sent. "2g from Holly" is no longer a tiered item. You may ask for one in any slot. ------------------------------ Terces, your 3 gifts have been added. Thank you for gifting! Dirtytabs, your 8 gifts have been added. Recon, your wish list has been added. Happy early birthday! Mochi, your gift has been added. Thank you for gifting! SamuelMaybird, your wish list has been updated. Happy early birthday! Katharos Seraph, your wish list has been added. Happy early birthday! Updated to here! ------------------------------ FoxintheBox, your wish list has been updated. Happy early birthday! Imzadi83, your gift has been added. Thank you for gifting! Dirtytabs, your 2 gifts have been added. Nathair, your gift has been added. Thank you for gifting! WWECornSerpent, your gifts have been added. Thank you for gifting! Cellybean, your wish list has been added. CB magma omitted so list conforms to rules. Syryn, your gift has been added. Thank you for gifting! Mow, your wish list has been added. Happy early birthday! Mathpi, your wish list has been added. Happy early birthday! Updated to here! ------------------------------ sfate, your wish list has been updated. Happy early birthday! Updated to here! ------------------------------ Messages for users with January birthdays have been sent. ------------------------------ Lurhstaap, your gift has been added. Thank you for gifting! Aurigena, your 2 gifts have been added. Thank you for gifting! Terces, your 4 gifts have been added. Thank you for gifting! Elen, your gift has been added. Thank you for gifting! The Dragoness, your 2 gifts have been added. Thank you for gifting! suane_lightfurr, your gift has been added. Thank you for gifting! Ruby Eyes, your 5 gifts have been added. Thank you for gifting! Elennilda, your 3 gifts have been added. Thank you for gifting! Dirtytabs, your 7 gifts have been added. Nqli, your gift has been added. Thank you for gifting! Nathair, your wish list has been added. Happy early birthday! DuskOfTheStars, your wish list has been updated. Happy early birthday! Updated to here! ------------------------------ Dirtytabs, your 10 gifts have been added. Lurhstaap, your 9 gifts have been added. Thank you for gifting! Terces, your 11 gifts have been added. Thank you for gifting! Argentum_Drache, your wish list has been updated. Happy early birthday! Imzadi83, your gift has been added. Thank you for gifting! banban007, your gift has been added. Thank you for gifting! Aurigena, your 4 gifts have been added. Thank you for gifting! suane_lightfurr, your wish list has been added. Happy early birthday! Amy.x, your 2 gifts have been added. Thank you for gifting! WWECornSerpent, your 9 gifts have been added. Thank you for gifting! Ruby Eyes, your gift has been added. Thank you for gifting! Themod444, your gift has been added. Thank you for gifting! lucasvianna, your wish list has been added. Happy early birthday! Elen, your gift has been added. Thank you for gifting! Elennilda, your 3 gifts have been added. Thank you for gifting! Kastriia, your wish list has been added. Happy early birthday! Nqli, your 6 gifts have been added. Thank you for gifting! Updated to here! ------------------------------ evilSpectra, your gift has been added. Thank you for gifting! Dirtytabs, your gift has been added. Dirtytabs, your wish list has been updated. TerraAnne, your wish list has been updated. Happy early birthday! TerraAnne, your gift has been added. Thank you for gifting! Ruby Eyes, your wish list has been updated. Happy early birthday! Amy.x, your wish list has been added. Happy early birthday! rrattts, your gift has been added. Thank you for gifting! Aurigena, your wish list has been updated. Happy early birthday! banban007, your 3 gifts have been added. Thank you for gifting! Updated to here! ------------------------------ Messages for users with December birthdays have been sent. 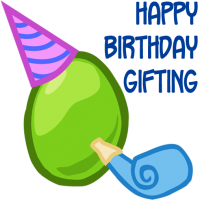 ------------------------------ Terces, your 16 gifts have been added. Thank you for gifting! Tinibree, your wish list has been added. Happy early birthday! Dirtytabs, your gift has been added. Updated to here! ------------------------------ WWECornSerpent, your 14 gifts have been added. Thank you for gifting! Dirtytabs, your 9 gifts have been added. Nqli, your 3 gifts have been added. Thank you for gifting! Echithan11, your gift has been added. Thank you for gifting! sylviamaris, your gift has been added. Thank you for gifting! Syryn, your 3 gifts have been added. Thank you for gifting! Themod444, your gift has been added. Thank you for gifting! Lurhstaap, your 6 gifts have been added. Thank you for gifting! Lurhstaap, your wish list has been updated. Happy early birthday! evilSpectra, your 11 gifts have been added. Thank you for gifting! Updated to here! ------------------------------ AkiresaYasonska, your wish list has been added. Happy early/late birthday! MinkishMinx, your wish list has been added. Happy early birthday! SamuelMaybird, your wish list has been added. Happy early/late birthday! Dirtytabs, your 7 gifts have been added. Thank you for gifting! Nqli, your wish list has been added. There is no need to hit "Quote" or copy the box, but all your information is there, so you've been added. Happy belated birthday! HopeUnbroken, your gift has been added. Thank you for gifting! sunshine_ley, your wish list has been added. Happy early birthday! Imzadi83, your gift has been added. Thank you for gifting! sylviamaris, your gift has been added. Thank you for gifting! Sunstar23, your gifts have been added. Thank you for gifting! Updated to here! ------------------------------ Terces, your 13 gifts have been added. Thank you for gifting! evilSpectra, your 2 gifts have been added. Thank you for gifting! Nessj, your 5 gifts have been added. Thank you for gifting! Elennilda, your 2 gifts have been added. Thank you for gifting! xxlonewolfxx, your wish list has been added. Happy early birthday! Wolfarick, your gift has been added. Thank you for gifting! Ellenai, your 4 gifts have been added. Thank you for gifting! Orchi'dea, your wish list has been added. Happy early birthday! jas355, your wish list has been added. Happy early birthday! @Echithan11, your wish list has been updated. Asking for both black/dark green alts and CB red dorsals isn't permitted, so I've changed item 3 to "Red Dorsal". If that doesn't work for you, please port an updated list that follows the tiers. Happy early birthday! HopeUnbroken, your wish list has been updated. Happy early birthday! AkiresaYasonska, your wish list has been added. Happy early birthday! Late update ahoy! I have sent out birthday check-in messages to users with November birthdays and will perform a thread update on the 3rd - by then, interested users should have responded. I hope by sending them late, they won't get lost among Halloween-related messages. For now, please take a look at the November birthdays list. Green entries have been recently added/updated, although I would not recommend gifting since people may still be raising their Halloween dragons. @jas355 and @Orchi'dea, your lists are current. Updated to here! ------------------------------ Tiers have been edited: some of the phrasing is simplified, and 4th gen prizes (tinsels/shimmer-scales) have been moved to Tier 2. Bautas and spinels (including the green spinel variant) are not included in the tiers, so they may be freely requested. ------------------------------ Nessj, your 2 gifts have been added. Thank you for gifting! (Remember to use lineage view when linking ) Dirtytabs, your 9 gifts have been added. Syryn, your 2 gifts have been added. Thank you for gifting! WWECornSerpent, your 3 gifts have been added. Thank you for gifting! Sunstar23, your 2 gifts have been added. Thank you for gifting! (I will continue to say this) Terces, your 4 gifts have been added. Thank you for gifting! (Thank goodness, my own vamp killed the target) stardust13, your gift has been added. Thank you for gifting! deja, your 2 gifts have been added. Thank you for gifting! HopeUnbroken, your wish list has been updated. Happy early birthday! deja, your wish list (and your name) has been updated. Happy early birthday! HeDy, your wish list has been added. Happy early birthday! (I assume you meant "2G Silver from Diamondwing". Let me know if you have any questions) Imzadi83, your gift has been added. Thank you for gifting! sylviamaris, your gift has been added. Thank you for gifting! Miichie, your wish list has been added. Happy early birthday! Themod444, your wish list has been updated. Happy early birthday! evilSpectra, your gift has been added. Thank you for gifting! Updated to here! ------------------------------ evilSpectra, your wish list has been added. Happy early birthday! AngelsSin, your wish list has been updated. Happy early birthday! Dirtytabs, your 2 gifts have been added. maaters, your wish list has been updated. Happy early birthday! Diame, your wish list has been updated. Happy early birthday! Artius, your wish list has been updated. Happy early birthday! Updated to here! ------------------------------ Messages for users with October birthdays have been sent. ------------------------------ Splashie, your wish list has been added. Happy early birthday! Dirtytabs, your 7 gifts have been added. Seahorse, your gift has been added. Thank you for gifting! WWECornSerpent, your 3 gifts have been added. Thank you for gifting! Terrafreaky, your 2 gifts have been added. Thank you for gifting! Nessj, your 9 gifts have been added. Thank you for gifting! Terces, your 9 gifts have been added. Thank you for gifting! Sunstar23, your 2 gifts have been added. Thank you for gifting! Soulibur, your wish list has been added. Happy early birthday! So many possibilities. Marie19R, your wish list has been added. Happy early birthday! rrattts, your 3 gifts have been added. Thank you for gifting! FAStudent12, your gift has been added. Thank you for gifting! Varislapsi, your 5 gifts have been added. Thank you for gifting! stardust13, your wish list has been added. Happy early birthday, and good luck! Themod444, your wish list has been added. Happy early birthday! Terrafreaky, your wish list has been updated. Happy early birthday! Updated to here! ------------------------------ Syryn, your wish list has been updated. Happy early birthday! Nessj, your gift has been added. Thank you for gifting!